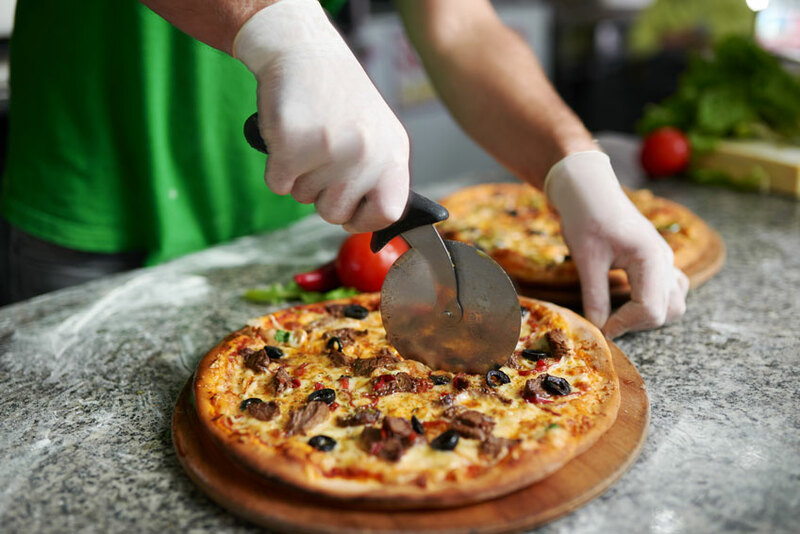 Experienced food handlers in restaurants, delis, and markets offering ready-to-go items or made-to-order meals in addition to meats, fish, cheese and other food items prepped or sliced and wrapped for customer ease are accustomed to wearing disposable gloves for food safety. As a vital part of an overall food safety program, proper glove use is key to cross-contamination control as well as helping protect hands. But with the wide range of food prep gloves available, it can seem daunting to choose which to stock for everyday use. 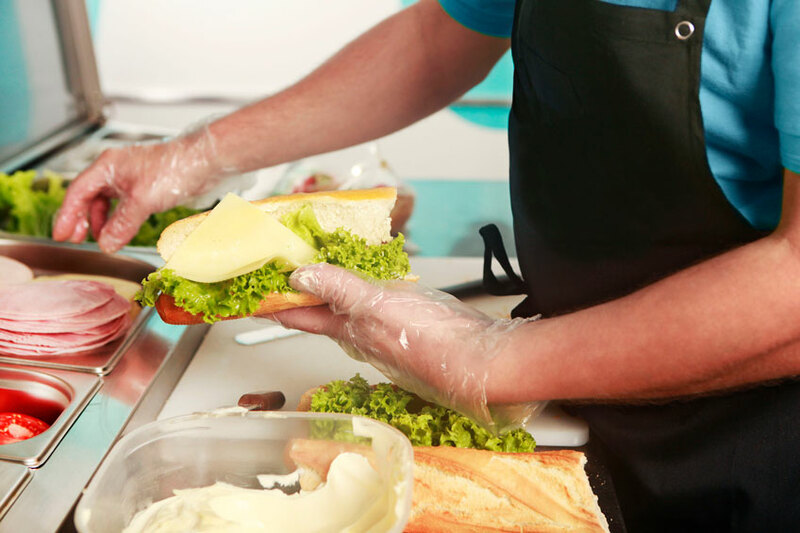 We’re happy to share this handy guide to food-safe disposable gloves to help you learn about the excellent options available to savvy restaurant and deli managers seeking quality and value. To determine your needs, the best first step is to consider the types of tasks and the primary types of food that will be handled. From there, proper selection of food-safe gloves becomes easier by categorizing them according to appropriate use and features, such as application type, durability required, or frequency of change. One example of disposable glove use is for salad prep. Disposable plastic gloves like Tronex 2100 Series Poly Gloves are perfectly suited to the handling of vegetables, fruits, olives, cheese, dressings, and other ingredients that populate a salad bar or prep station. These embossed polyethylene gloves are crafted for comfortable wear and ease of use. They are strong at the seams to offer reliable wear and easy on-and-off, perfect for frequent changing. Great for prepping as well as tossing by hand for quick and even dressing distribution. Stepping up to handling foods with strong odors, possible irritants like those in jalapeno peppers, or heavier bacterial exposure such as in meats, food safe polyvinyl chloride (PVC) gloves are an excellent option. Tronex 8973 Series New Age® Vinyl Disposable Gloves offer excellent barrier protection and contain no natural rubber latex proteins, so both food handlers and customers who may be allergic or sensitive to latex are protected. Highly adaptable gloves for cooking and multiple levels of prep, these are notable for the way they conform to the hands, allow impressive touch sensitivity, and help reduce hand fatigue. For heavy duty food processing, gloves made with nitrile – a synthetic rubber material demonstrated to be more durable and chemical resistant than latex – are a sensible choice. Tronex 9393 Series Nitrile Gloves are wonderfully soft and comfortable while providing reliable protection against abrasions, oils, chemicals, and temperature extremes. Formulated to be more durable than lighter-application gloves, they are perfect for working with raw meats, oily foods, or acidic fruit that might cause breakdown in other glove materials. When transitioning from prep to cooking, high temperatures and handling of sauces, oils, raw meat, and highly acidic foods can put hands in harm’s way. Tronex 9047 Series Black Nitrile Gloves are form-fitting, highly durable, and resistant to abrasions. Their black color offers the advantage of ready visibility when in use among varied foods and their extra strength makes them a better choice when cooking on a BBQ or stovetop. In addition to hand coverage, there are many disposable options for apparel and body protection for food handlers. A fluid-impervious disposable polyethylene apron like the Tronex 6380W can be purchased in economical bulk quantity and kept at the ready. Comfortable and protective disposable sleeve covers, such as Tronex 454070W style, promote optimal food safety, and offer the user protection from grease and fluids. Kitchen and work area cleanliness is just as vital to cross-contamination control as using gloves for food handling. Tronex offers a Multipurpose Flock-Lined Latex Glove （1908 Series） that is both food-safe and heavy-duty to handle dishwashing, worktop and appliance cleanup, mopping, and much more. 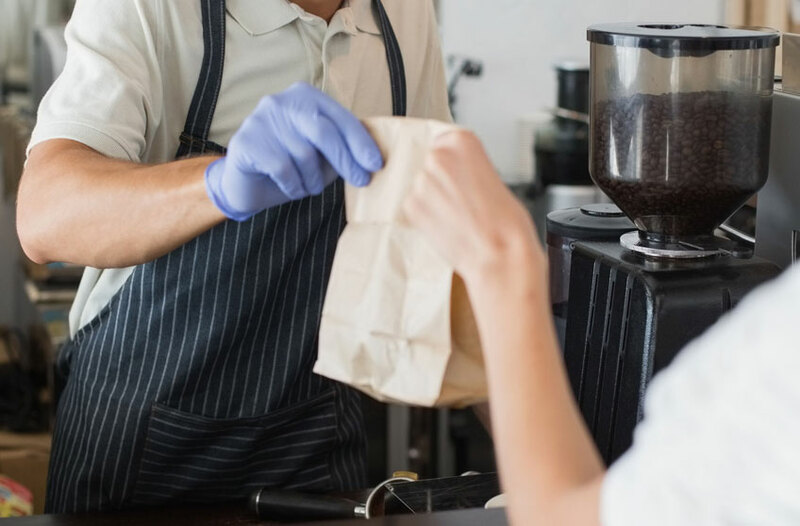 Whether your daily food handling needs call for disposable poly gloves, vinyl gloves, nitrile gloves, or a combination of various styles, the wide array of excellent options in food-safe gloves is good news for any restaurant or deli that is dedicated to food safety and a top-notch customer experience. 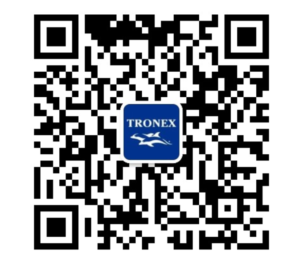 To learn more about the food-safe gloves recommended here, or about the many disposable safety products from Tronex, please contact us with your questions.